“What is Gutzy Gear“, you ask? Gutzy Gear enables kids to personalize their backpack, messenger bags, duffle bags, car seat strap and more with soft strap covers and removable velcro patches. They are super cute and fun for school age kids! Their are tons of Gutzy Gear patches to choose from and personalize with your kids favorites with designs such as pizza, ice cream, hearts, monkeys, dogs, guitars, sneakers and licensed characters such as Spongebob, Spiderman, Monster High, Avengers and Sonic – with even more designs on the way. Each strap set comes with one smile face patch to get your child started. Additional patches are sold in sets of two and each strap can hold about 3-5 patches. The velcro straps are adjustable giving them the perfect fit on just about any bag. My kids also like placing them around the strap of their car seat belt. During our get together, each of the kids received a set of straps and we filled two bowls with all of the patches. Each of the kids chose their favorites and had a blast swapping them. I passed out information to the parents about Gutzy Gear and the kids were already talking about how excited they were to buy more patches for their bags. I was thinking that the patches may be nice to keep on hand to use as “rewards” for doing something good at home or at school. Gutzy Gear straps and patches are available for purchase at local stores including Target, Walmart, Kmart, Toys R Us and Office Depot. Aren’t these so fun and adorable? My kids and I wish you and your families a very fun and happy school year! Will your kids be sporting Gutzy Gear in their first day of school photos this year? 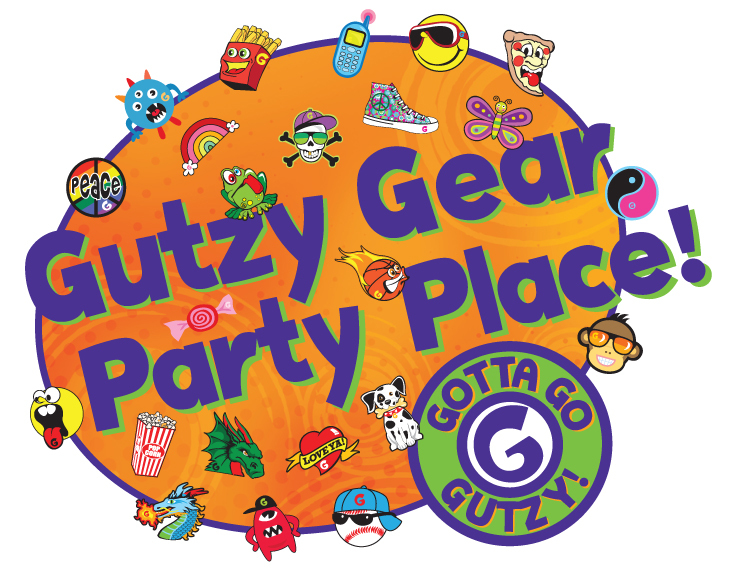 Many thanks to Gutzy Gear for sending us this huge, generous Gutzy Gear party pack to share with our friends. All above opinions are my own – and we really do love Gutzy Gear!